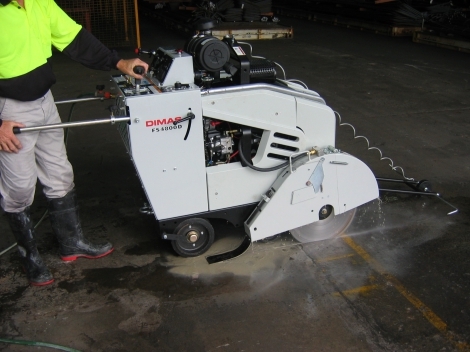 Floor or road sawing is used on flat surfaces like reinforced concrete slabs, roads, expansion joints driveways etc. We have both petrol and diesel saws with catalectic converters available for semi enclosed areas. Floor sawing is the most cost effective and fasted way of cutting concrete, our trucks carry different sized blades for most jobs. We also have small petrol push saws for jobs were access is a problem. We carry wet vacs for slurry collection if needed as well as water and generators.